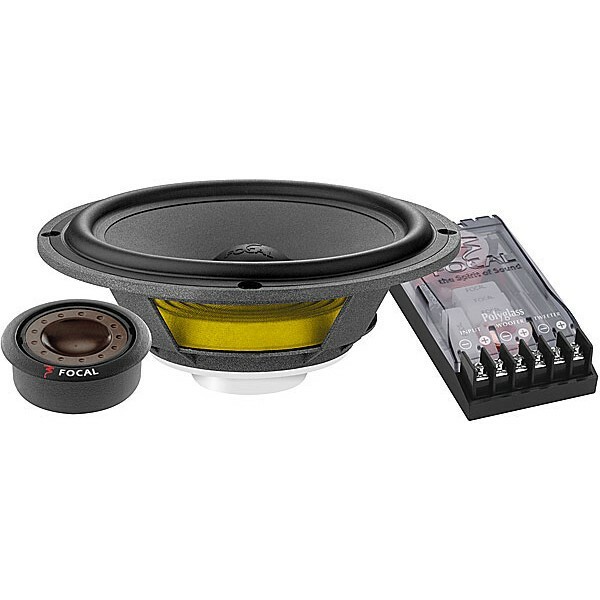 Focal's Polyglass 165VRS Slim Fit component speaker systems use precision craftmanship and advanced materials to make a strong sonic impression. And these systems include shallow-mount woofers that'll fit in the factory speaker locations in a wide range of vehicles. The Focal Polyglass 165VRS system features a 6-1/2" woofer with a Polyglass cone that's created by depositing a layer of hollow glass microbeads over a layer of cellulose pulp. This unique material combines the warm sound of cellulose with the incredible strength of glass, for a cone that responds rapidly with extremely low resonance. 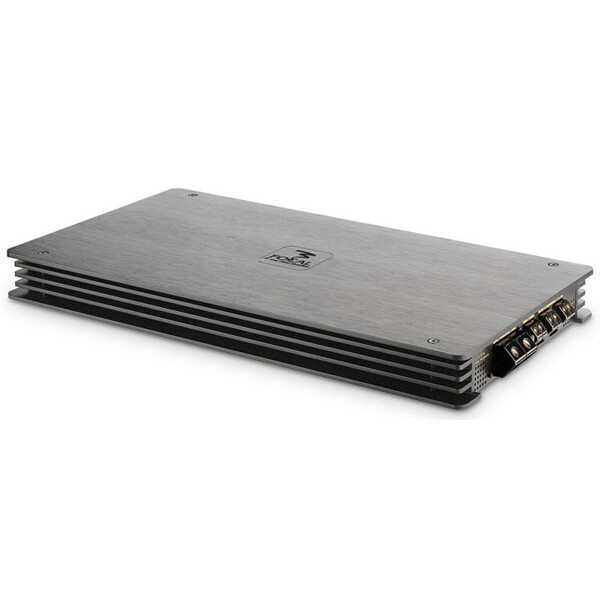 A butyl rubber surround helps control cone movement and promotes high power handling. The zamak (zinc alloy) basket provides a non-magnetic, non-resonant housing that won't color the sound. The woofer measures just over 2 inches deep, so you can count on an easy installation. Focal designed the aluminum/magnesium inverted dome tweeter to disperse high frequencies evenly for a big, open soundstage. The external 2-way crossover ensures a smooth transition from lows to highs, so vocals and instruments sound natural. You can select from 3 tweeter levels to get the right balance in your vehicle. Grilles are included.